No, the Mad Scientist is not some insane supervillain out to destroy humanity and earth. Far from it, this is a powerhouse that is all about a thrilling ride, inner peace, and then off to dreamland. 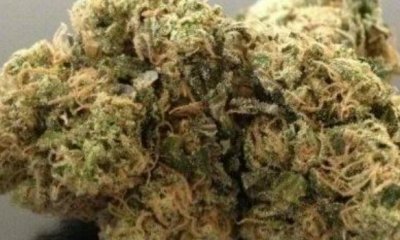 Mad Scientist (also called Mad.S) takes much of its genetics from Herijuana, a mostly Indica hybrid that is notable for numbing body high. To add a twist to the cerebral effects, breeder Sannie decided to use White Widow. Although Mad Scientist is mostly Indica, never underestimate the potency of its mental stimulation. On the whole, the hybrid is insanely potent with some 22% to 24% THC. On its structure, while the reasonable expectation is that it is mostly physical, it still has the ability to bring users to a joy ride in a mad rush. Later, a light pressure buzzing from the temple soon travels down the body. 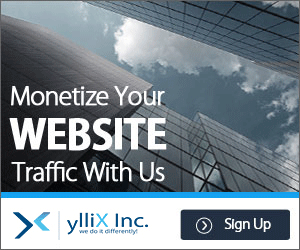 As a heaviness builds upon the limbs, waves of relaxing sensation soon overwhelm users. From having a clear head and rapid flipflopping of thoughts, it can turn into deep introspection. At this point, laziness sets in and most people end up locked on the couch heavily stoned. Mad Scientist is definitely on the more fragrant side of things. 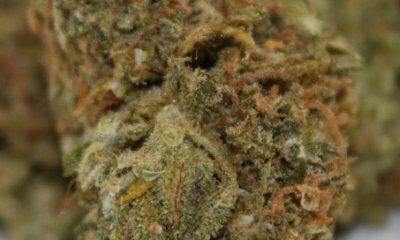 The potent Indica plant emits a pungent scent of coffee paired with the refreshing aroma of lemon with a sweet note. At the first toke, Mad Scientist is reminiscent of two classic breakfast drinks – coffee and lemon juice. The taste of sweet nuts with hints of woody pine become apparent while savoring the flavors. One should note that its smoke could be a tad bit on the harsh side. Otherwise, it is quite a delicious strain. 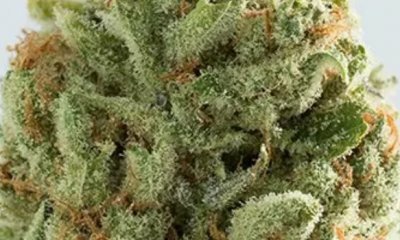 Like other high THC strains, Mad Scientist has the potential to induce slight paranoia. It is rare, of course, as it only tends to happen to users who overuse or overestimate their THC tolerance. As a pain reliever, it helps with soothing headaches, cramps, and fatigue. It also relaxes the stomach to appease any gastrointestinal problems. As such, it can be used to reduce nausea. Mad Scientist has the typical qualities of an Indica-dominant plant. It is sturdy and needs little maintenance because of its ability to withstand sudden changes in weather conditions. Adding to its attractive grow is the high yield of large trichome-coated buds. Should growers decide to cultivate the plant indoors, it is best to have odor control measures as its scent is quite pungent. Sannie’s Seeds has made the seeds of Mad Scientist available online. Growers can choose between regular and feminized forms, depending on their skill level and knowledge of proper techniques. Between the two, the latter is a better option as it ensures that no males sprout to wreak havoc once the reproductive cycle begins. A critical component of growing marijuana indoors is its flowering period. The sooner it is, the closer growers are to harvest. Thankfully, it only takes 8 to 9 weeks for Mad Scientist to bloom and provide up to 19 ounces of buds per square meter. Mad Scientist reaches maturity around mid-October. 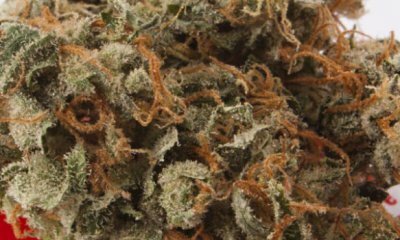 At this time, growers can expect each plant to yield more than 19 ounces of beautiful buds. Have you ever smoked or grown your own Mad Scientist? Please let me know what you think about this marijuana strain in the comments below. The post Mad Scientist appeared first on I Love Growing Marijuana.